When a patient’s life is at risk and every second counts, we provide doctors with what they need: medicine when it matters most – with rapid effectiveness and a high degree of practicality, giving doctors the edge and helping patients back over it. At Amomed, our daily work ensures that the right medicine can be applied swiftly and with the utmost efficiency. 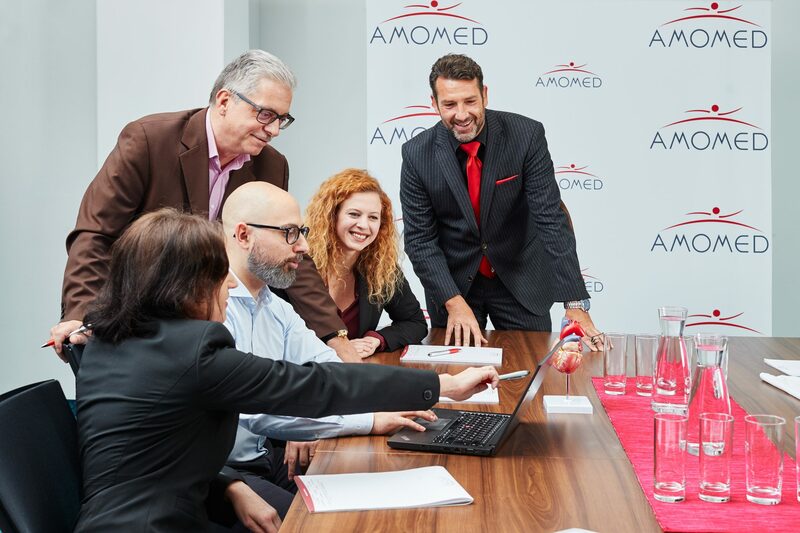 Every employee at AMOMED is aware of the enormous responsibility of his actions. As a team, we therefore act in sync and strive for excellence in everything we do. Our employees are among the most highly trained – they are specialists in their fields. Our aim is to expand this potential at home and abroad. To this end, we are looking for high school, college and/or university graduates as well as experienced professionals. Shape your career together with us! Be part of a team that closely collaborates with medical specialists to develop what is required as medicine when it matters most. You are welcome to send your unsolicited application to personal@amomed.com. We will get in touch with you as soon as possible.